The mean salary of an RN in the United States is $74,550/year according to the Bureau of Labor Statistics. While we know that nursing salaries vary greatly by the state a nurse is working in and their specialty, these numbers are by no means a barrier. In fact, nurses are in a unique position that they have so many options at their disposal to further their career and increase their salary as a result. We’ve identified 10 ways nurses can increase their salary and have included useful resources to help you do it. 1. Take on in-demand shifts. Find out if your facility offers these types of shifts and if it fits your schedule, sign up to cover a few! Not only will you be helping out during a time in need, but you will also be making a little side income. 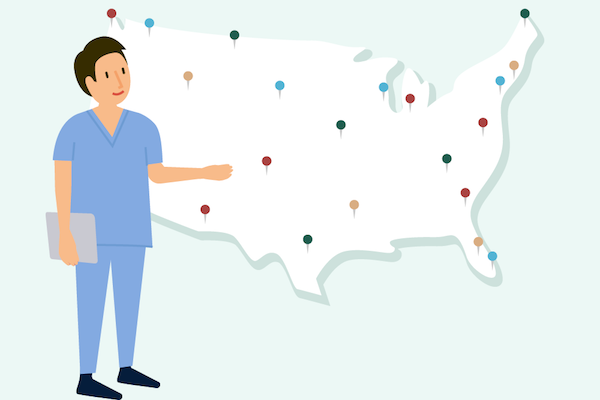 There are a number of perks and reasons for becoming a travel nurse, but the clearest benefit is that travel nurses make 18% more than a staff RN position on average. By taking travel nursing positions, not only will you be making more money, you will also have the chance to explore and get paid to travel. By working in a number of different facilities, you will also be building your network. You could literally have connections and lifelong friendships all over the country in just a year! Start searching for travel nursing positions on Nomad today! 3. Get a compact license. The Enhanced Nurse Licensure Compact (eNLC) allows nurses with multistate licenses to practice in any of the 29 (soon to be 30) eNLC states. The purpose of this compact is to allow nurses to more quickly and effectively provide care to patients in the locations most in need. By getting a compact license, you can more easily find a new assignment in a new location and if you decide to become a traveling nurse, the whole country is your oyster without the need to worry about getting a new license every time. Click here to learn more about the eNLC and find out if your state is part of the compact. If you have questions about whether you qualify and how to get licensed, check out the eNLC FAQs. 4. Consider the whole package when applying for a new facility. One perk that you might see when viewing a job opening is a sign-on bonus. This is an incentive often used by facilities to help their retention rates. This bonus will likely be given proportionally to the amount of time you stay at the facility. If you plan to stay for a longer period of time, this is a great option to look out for as you will likely make a large percentage if not all of your bonus. Another type of bonus that you may find is an annual bonus based on certain key performance indicators (KPIs) like patient satisfaction. Even if you aren’t offered this bonus up front, it may be something you can negotiate during your contract negotiation process. Keep an eye out for other potential perks, benefits or reimbursement incentives you can negotiate for like continued education reimbursements. 5. Make your value known. Before going into a contract or salary negotiation, make sure your resume is updated and highlights all of our accomplishments throughout your career. This will be your framework for showing your value and will be what your potential employers refer back to when considering your requests. Do your research and determine your value upfront so that you can present your unique value and provide a case for what you’re worth during negotiations. When negotiating, consider more than just an increase in salary. Ask for other types of benefits – like time off, continued education or stipends for housing. Read more of our tips on nursing contract negotiation here. 6. Become certified in a new specialty. Some of the highest in-demand specialties are critical care (ICU, CICU, CVICU), labor & delivery, operating room, cath lab, and oncology. And with demand, comes an increase in salary to attract qualified candidates. CCRN certification for acute and critical care is granted by the AACN Certification corporation. Read FAQs from the American Association of Critical-Care Nurses for more information. CNOR certification for operating room nursing is granted after a qualification exam. Read the steps to CNOR certification here. If you are interested in becoming a Labor and Delivery nurse, you can apply for certification through the National Certification Corporation (NCC). While this isn’t required, it can open new doors for you in the future. Read the steps to become an L&D nurse here. 7. Get a Bachelor of Science in Nursing (BSN). 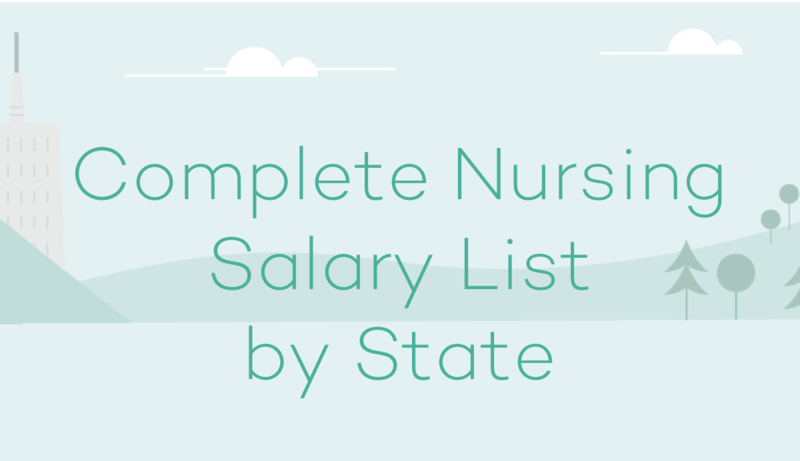 BSN-educated nurses tend to fall in the top 25% of the salary range for every specialty. While this salary boost is definitely a perk, the bigger opportunity for BSN-educated nurses comes in the form of managerial roles within a facility. These supervisory roles tend to be more reserved for nurses for BSNs so furthering your education could make you a quality candidate for these positions. The best part is that there are a number of BSN programs that can be completed online while you continue working. Check out one of these affordable online RN to BSN programs or search for BSN programs to find the best option for you. 8. Move into a managerial role. Compared to a staff RN salary, the average nurse manager salary is $88,122 per year. Once you’ve finished your BSN, you are primed and ready to move into a more supervisory role! Be on the lookout for any open managerial positions and reach out to your network to see if anyone knows of positions that might interest you. Don’t be afraid to take the initiative and ask your supervisor what the process is for being considered for a managerial role. 9. Invest in your education. While all of these options fall into the category of your day-to-day work, there are also ways you can bolster your salary outside of your normal work day. If you are interested in expanding your horizons for other earning opportunities, look to your local community for nursing needs. Some nursing training programs will be looking to hire tutors to help students who are learning to be nurses. Community events may also be hiring nurses for a few days to help out during events that are being held. By looking outside of your normal work environment, you might find a cause that you are passionate about and help out your community while also making a little extra income. If you’re looking to increase your nursing salary, we hope that you felt inspired by one of these tips! As a nurse, you have many options at your disposal. It’s up to you to decide which one is the best for you!